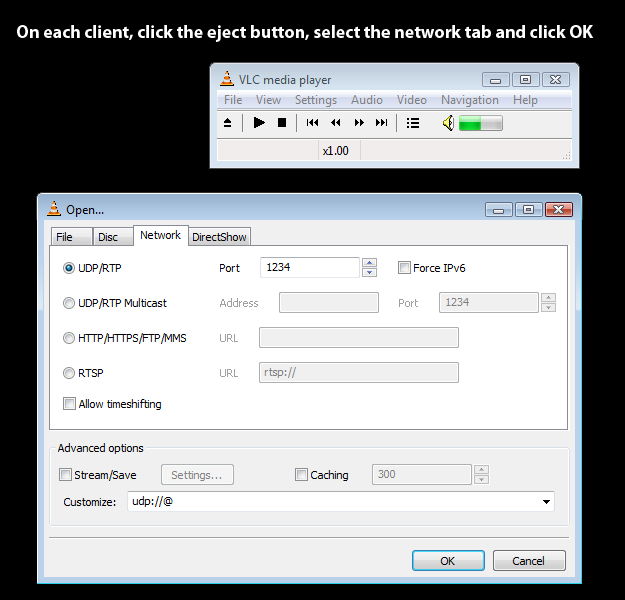 This tutorial is written for VLC 0.8.6b. We havn't successfully tested any later versions for the ability to synchronize a single stream to multiple endpoints. First you must have a server where all the files to be streamed are located. 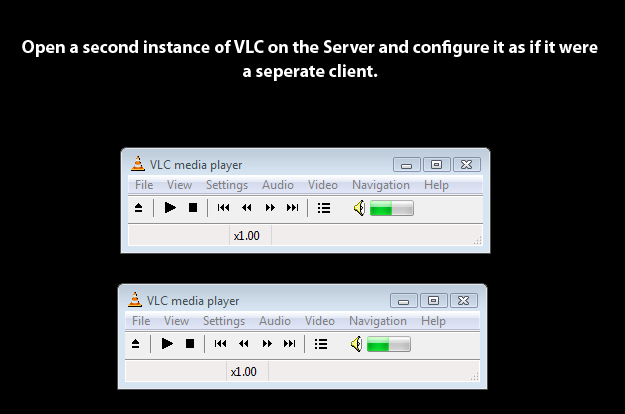 Then you must have network clients running VLC to receive the network streams. 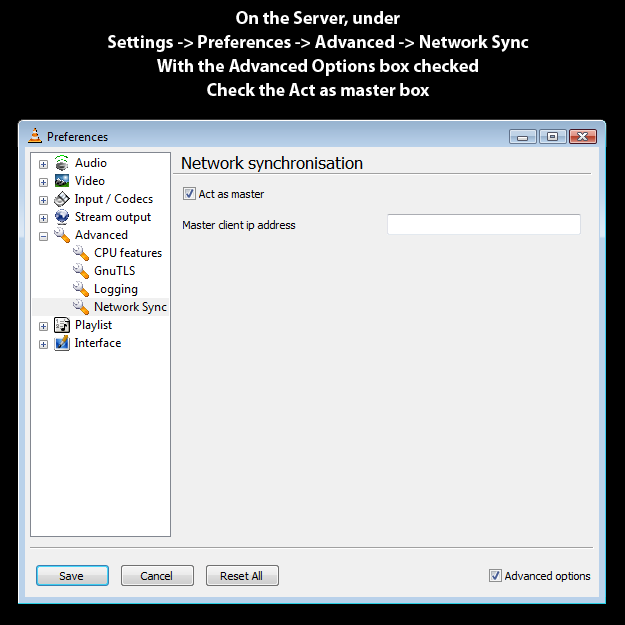 On the Server, set the 'Act as master' preference in Network Synchronization. Next, load the playlist to be streamed and pull up the streaming settings. The Target: Text Box is what we will need to manipulate in order to stream to multiple end points. 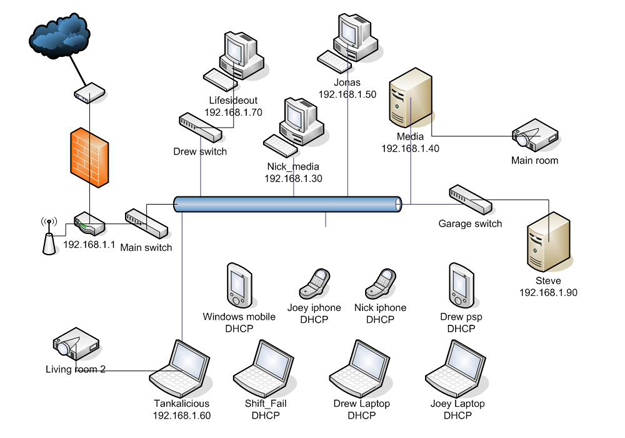 I always use UDP streams for streaming accross the LAN. Type in the ip address of the first client. Put a coma between the last two }} and then paste the dst= after the coma. Change the IP Address of the pasted section to match the IP Address of your second client. 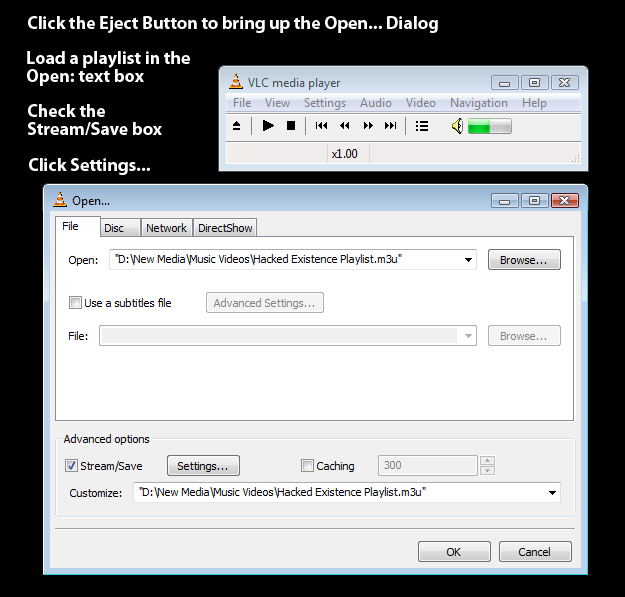 Repeat once for each additional client you wish to stream to. At this point you can start the stream from the server, then open VLC on all the clients you defined and set the IP Address of the Server in the Network Sync Preferences. On each client, hit the eject button and click on the Network tab. Make sure that UDP is selected and the port matches what you defined on the server. 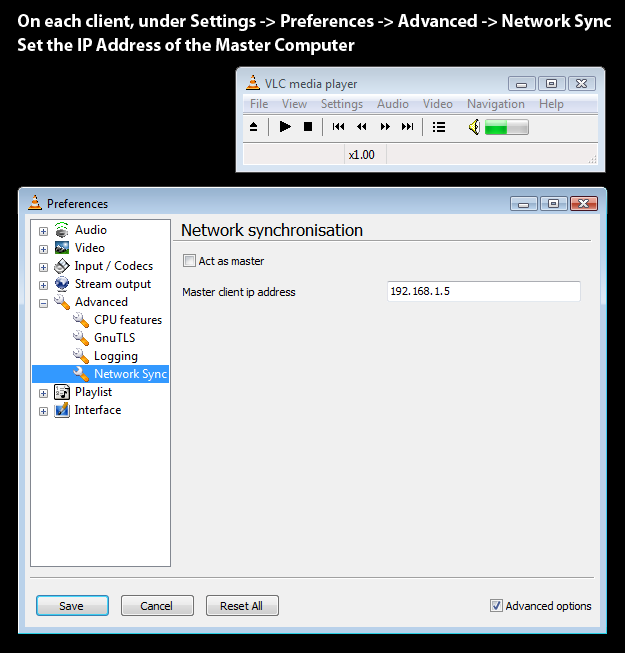 Click OK on each of the clients to begin receiving the network stream. The server instance of VLC will not account for network latency on the local machine. If you select 'play locally' on a stream that is going to multiple endpoints, the local playback will be out of sync with the rest of the clients. Our solution to this was to add the IP Address of the server to the streaming client list, start the stream without playing it locally, launch a new instance of VLC, define the IP Address of the Server in the Network Sync Settings, then open the stream exactly as you would on a client. As you can see below, VLC has no problems running two instances on the same machine. Using one as your main network server and one as your local client, netowrk latency will be accounted for and the streams will be synchronized to all machines.